Dyslexia impacts all areas of life, and thus an early dyslexia diagnosis is important. Reading is one of the most important skills your child needs to master. He will need reading in every subject in school and in almost every facet of life. Yet, millions of kids have poor reading skills, which may be due to lack of practice or something more organic as in Suzy’s case; she has dyslexia. Her case is typical. Dyslexia is a learning disability. Those with dyslexia have some or all of these problems: decoding words, blending letters, reading fluently, reading orally, and comprehending what they have read. Years ago, people mistakenly thought that dyslexia was caused by a visual deficiency, and that letter reversal was a symptom. They even went as far as to send their dyslexic children for eye training. Recently, brain researchers have found that dyslexia has nothing to do with the visual areas of the brain; instead, it is associated with the language areas. Unfortunately, reading problems caused by dyslexia spill into every part of the school curriculum: social studies, science, and English – even word-problems in math. 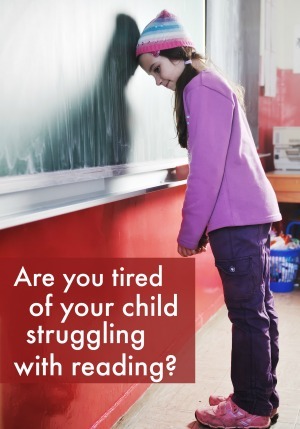 It is important to address a reading difficulty as early as possible because children may develop emotional problems as a result of frustration, disappointment, guilt, anger, and fear associated with their inability to read easily. Fortunately, there are dyslexia tests that can be used to diagnose and identify the various types of dyslexia. Once identified, dyslexia can be remediated or compensated for. It is not uncommon for people with dyslexia to lead perfectly normal and maybe even outstanding lives. Want proof? Here are just a few of the many famous people past and present with dyslexia: Whoopi Goldberg, Robin Williams, Leonardo da Vinci, Pablo Picasso, Henry Ford, Ted Turner, Walt Disney, Alexander Graham Bell, Thomas Edison, Albert Einstein, Thomas Jefferson, John F. Kennedy, and George Washington. Difficulty associating a sound with its written symbol. Skips words or puts in extra words when reading. Reads a word correctly several times on a page, but then forgets it in seconds. Reads slowly and with great difficulty. Good comprehension, but difficulty with reading. Cries or becomes upset when asked to read. Have your child evaluated. Have your child evaluated by the school district. To do this, write a letter to the school principal, requesting that your child be tested for a learning disability. Or, if you prefer, have your child evaluated by a qualified professional outside of the school. (Under certain circumstances, the district will pay for outside testing.) Be sure to get a thorough diagnosis so that the correct remediation will be used. Learn about remediation options. If your child is classified as dyslexic or learning disabled, learn about classes and modifications available to her. Obtain information from your state education departments. 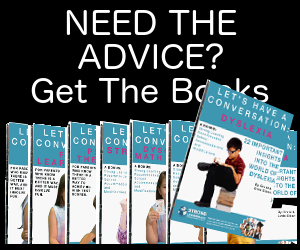 Also, contact the International Dyslexia Association (IDA) (www.interdys.org) for advice. Read about dyslexia. 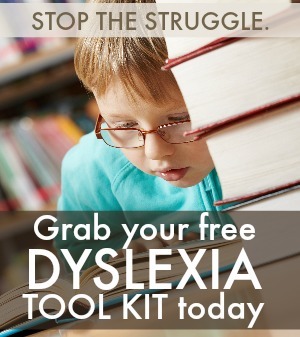 Overcoming Dyslexia, by Dr. Sally Shaywitz, is an excellent resource. Explore all the electronic support systems that are now available. The IDA will be able to help you. Ask the school for audio books. This is a great aid for middle- and high-schoolers when reading literature, history and science books. Research. Go online and/or go to your library or local bookstore to find books on helping dyslexic students. Ask your child’s teachers and specialists for strategies that you can use at home and in school. For example, dyslexic children perform more successfully on written essays and oral presentations than on multiple-choice or rote-memorization exams. Dyslexia tutoring. Hire a qualified reading tutor, one with an Orton-Gillingham multisensory background, with whom your child is comfortable. He or she will be able to help your child and you with all aspects of reading. Visit a service such as www.StrongLearning.com to find a qualified tutor in your area. Play games. Help your child learn phonics by playing games such as Memory, Go Fish, War and Old Maid with the Strong Learning Phonics Card Games. Improve fluency. 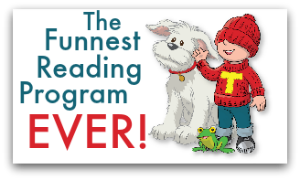 To improve fluency, read easy-to-read books with your child, one or two levels below her grade level. For example, use our Strong Learning Beginning Readers, which are written on a first to second grade reading level, with second or third graders. Another good idea is to use computerized books or read-along books and audio to help improve fluency. Also, read poems and/or plays over and over again. Help your child comprehend. Help your 4th through 8th grader with comprehension by working with them in an activity book such as our book, Improve Your Reading Skills. Continue to learn more about dyslexia diagnosis in our archive.